Chelsea Redding was born and raised in the Texas hill country where she learned the importance of hard work, dedication and loyalty. Today those traits extend not only through her familial and work relationships, but also through the relationships she shares with her clients. She received a Bachelor’s Degree and a Law Degree at Texas Tech University. During her education at Texas Tech, she received numerous honors including the 2015 Award of Excellence for exemplary results and outstanding achievements, the 2016 Award of Excellence for exemplary results and outstanding achievements, the Legal Practice Jurisprudence Award for her outstanding legal writing and research and the Jurisprudence Award for her volunteer work in the Innocence Project of Texas. Additionally, she was a member of the Phi Delta Phi International Legal Honors Fraternity as well as the Phi Alpha Delta Law Fraternity. 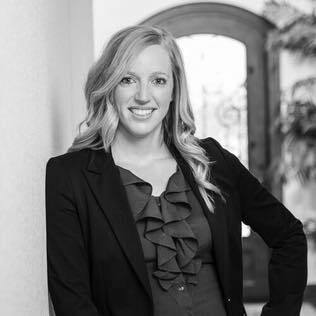 After graduating from law school, Chelsea has worked in various fields of law with a primary focus in personal injury and estate planning. She soon realized that her clients needed additional assistance in asset management and investments from someone they could trust. Given she has always had a passion and unrelenting interest in asset management, she decided to become an Investment Advisor Representative.